Welcome to the Eye Doctors of Arizona and our downtown Phoenix location. We have three convenient clinics in the area to best serve our patient population. Along with comprehensive eye exams, we also provide eyeglasses, contacts, and eye disease treatment, as well as eye pain management. Learn more about what you can expect when you seek optical treatment here at the Eye Doctors of Arizona. We recommend that all new patients to our eye doctor start with a comprehensive eye exam. Then you should get a routine eye exam each year unless you suffer from eye pain, eye disease, or vision loss. We can diagnose eye conditions and provide vision correction services including prescription eyeglasses, sunglasses, and contact lenses. As a full-service optometrist clinic in downtown Phoenix, Arizona, we are also capable of fitting eyeglasses and hard to fit contacts here at our clinic. This saves you a ton of time in trying to get a new pair of eyeglasses or contacts near you. 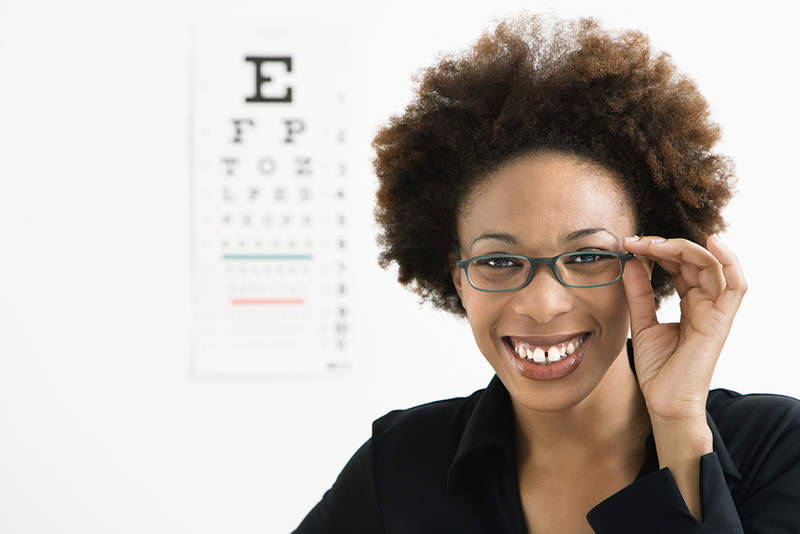 We also provide eyeglasses repairs and contact lenses maintenance services to best serve our patients. If you are suffering from age-related eye diseases, such as macular degeneration or glaucoma, we offer eye disease management. These types of eye diseases often have no cure. As with AMD, you can slow down the progression of the disease through proper eye care and disease treatment. First, you need to seek treatment here at our optometrist in downtown Phoenix. We will help you by creating a personalized treatment plan to reduce eye pain and vision loss. When you are preparing for your first visit to our optometrist in downtown Phoenix, you want to access our New Patient Center. Here you will find everything you need to bring to your first appointment. In addition, we offer digital forms that you can download at your convenience and complete from home. This can save you time and hassle when preparing for your first eye doctor appointment. When you select Eye Doctors of Arizona, you know that you are getting to work with some of the leading eye doctors in the Southwest. We are the community provider of comprehensive eye exams along with specialized exams for cataracts, diabetic retinopathy, and other eye diseases. To begin with our optometrist in downtown Phoenix, Arizona, contact our office at 602-257-8280. Press extension No. 1 to schedule an appointment with our eye doctor and start seeing better with our optometrist on your team.